All your experience as a student and player reaches a pinnacle when you become a member of AYO’s flagship ensemble: the Australian Youth Orchestra. Selection is an acknowledgement of excellence at a national level. This program will give you a taste of the rich possibilities of today’s world of orchestral music-making. Under the guidance of the world’s most innovative musical leaders, you’ll tackle inspiring symphonic and operatic repertoire and showcase your skills on the world stage. 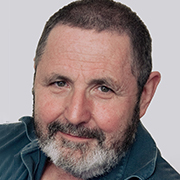 Richard Mills is currently Artistic Director of Victorian Opera. 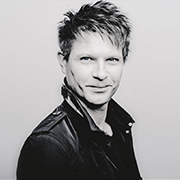 He is deservedly one of Australia’s most sought after composers and music directors and is now in the forefront of senior Australian composers. He has pursued a diverse career as a composer, conductor and artistic director which has seen him working with almost all of the nation’s music organisations. Read more. The orchestra is the driving force behind every great stage production, and this AYO February Season you’ll join forces with Victorian Opera to bring one of Wagner’s most famous operas to the stage. You’ll travel to Melbourne to undertake immersive musical training and rehearsals with esteemed Artistic Director, Richard Mills, and take up a position in the orchestra pit for three spectacular public shows at venue. 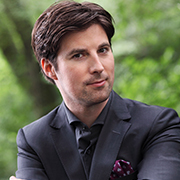 Krzysztof Urbański is Music Director of the Indianapolis Symphony Orchestra. Alongside this role he simultaneously maintains an international presence by appearing as guest conductor with leading orchestras worldwide. Urbański holds an impressive discography of acclaimed recordings for Alpha Classics, Deutsche Grammophon and Sony. Read more. Just 23, Canadian pianist Jan Lisiecki has won acclaim for his extraordinary interpretive maturity, distinctive sound, and poetic sensibility. The New York Times has called him “a pianist who makes every note count”. 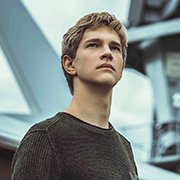 Lisiecki’s insightful interpretations, refined technique, and natural affinity for art give him a musical voice that belies his age. Read more. Daniel Müller-Schott ranks among the world’s best cellists of his generation and can be heard on all of the foremost international concert stages. He has made his mark by delighting audiences for two decades “a fearless player with technique to burn” (New York Times). Read more. Undertake the adventure of a lifetime as you embark on an orchestral tour spanning three continents under the inspirational musical guidance of conductor Krzysztof Urbanski! Take your musicianship to the next level as you perform in some of the world’s most prestigious concert halls throughout Australia, Asia and Europe. Work alongside renowned soloists Jan Lisiecki and Daniel Müller-Schott and be mentored by some of the leading orchestral musicians in Europe as you explore orchestral masterpieces; including the first cello concerto of Shostakovich, piano concertos by Mendelssohn and Rachmaninov, the tenth symphony of Shostakovich and Dvorak’s seventh symphony. This action-packed month of music making provides musicians with an irreplaceable opportunity to explore the world, whilst acting as an ambassador for Australia. AYO will arrange and cover all travel, instrument freight, meals and accommodation costs associated with the program. piano. Harp for February Season only.